**Expanded edition with live tracks, b-sides and a Lucky Dragons remix** I was beginning to lose hope, I really was. 2009 wasn't shaping up to be a great year for pop music; sure there have been good albums but there weren't many really 'defining' records. Animal Collective had hit us square in the chops with 'Merriweather Post Pavillion' but nobody else had raised their game to meet it - the world was lacking the run of albums it needed to make 2009 'great' rather than simply 'good'. That brings us to 'Bitte Orca', an album which might lack the fanfare of its Black Flag-influenced predecessor 'Rise Above' but delivers sonically on every imaginable level. The band have for me always been 'almost there'; their records have been inventive, original, daring and engrossing, but I haven't found myself going back time and time again. Something about the arrangements maybe stopped me from humming the tracks on the bus, but this is exactly what Dave Longstreth has addressed on 'Bitte Orca'. From the tantalizing first few seconds it's obvious that Longstreth has trimmed the fat without losing any of the creative pizzazz the band is known for; the tracks manage to amaze on a technical level but at their heart they're simple, sing-along pop songs, laden with hooks. It's all too easy to make musical mathematics boring or overly quirky but with 'Bitte Orca' we have balance and for every dangling 7/8 guitar part there's a heart-wrenching vocal line, every production flourish is balanced by pounding beats or heavenly harmonies. The band worried long-term fans when 'Stillness Is A Move' was released as the first single; the track is notable for not featuring Longstreth on vocals (sorry girls), but I find it was the perfect teaser for the album. The song is the definitive realisation of Longstreth's fascination with commercial R&B music - a style he's flirted with for years but until now never really got spot on. 'Stillness...' sounds like Longstreth's take on Aaliyah (RIP), with stuttering Timbaland-inspired basslines and sugary vocal harmonies toying with the senses. The only weakness is that there aren't more tracks like this - but that's hardly a criticism. Each track seems to excel in its respective style, and Longstreth battles with folk, blues and soul, wrapping everything in a hip indie sheen without losing sight of coherence. 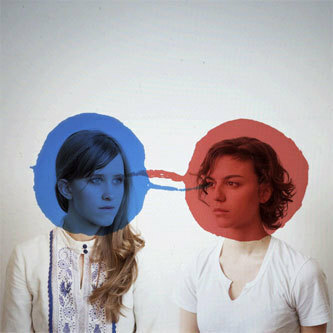 If you haven't come across Dirty Projectors before, don't worry. If you haven't heard Dirty Projectors before, it doesn't matter - 'Bitte Orca' is the pop album of the year, you won't want to miss out.